The world of colonial Malaysia is a pulsing, dynamic land. 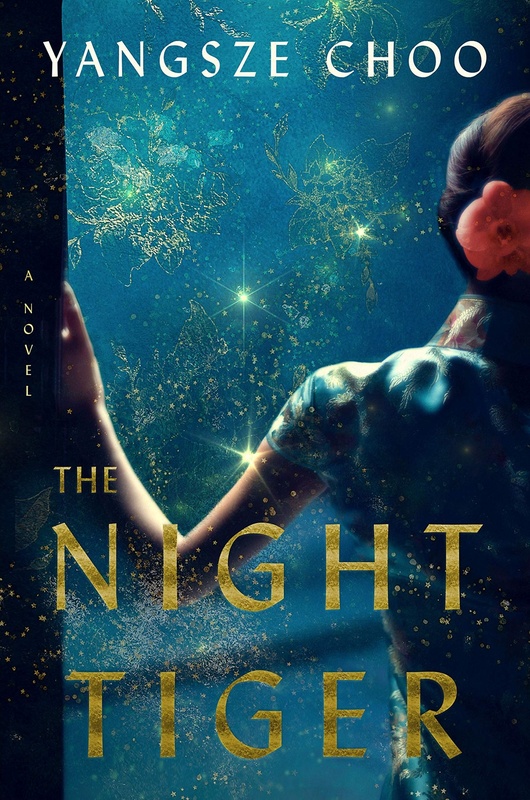 In Yangsze Choo’s “The Night Tiger,” it is augmented in unimaginable ways, filled with exponentially heightened colors, dreams, and emotions in a quivering, hallucinatory mystery where local and diasporic mythologies come to life. This scintillating world that Choo weaves is a world hopelessly entangled in threads of fate and death, ordered along rules of ritual and folklore. The quick-witted Ji Lin is working at a dance hall to pay off her mother’s mahjong debts when she unexpectedly picks up a gruesome souvenir from a client — a severed finger, mummified and preserved in a specimen bottle. Ren, a Chinese houseboy whose master died after suffering prolonged and torturous fevers from malaria, is tasked with retrieving his master’s lost finger. Ren must find the finger and bury it with his master before the 49th day after his passing, or risk that his master’s soul will forever wander the earth. But misfortune and death seem to follow Ren on his journey to seek out the finger — tigers pick dogs off the streets and strange killings are happening. There are whispers of men turning into tigers with deformed paws, whispers that make Ren shiver and determined to bury the finger as soon as he can. He wonders, “If his old master is in fact doomed to roam this vast green expanse forever, trapped in the form of a tiger.” Ji Lin and Ren’s lives collide, colossally and momentously, in her mission to return the finger to its rightful owner and his mission to save his master’s soul. Even the greatest literary thrill-seeker will not want for intrigue — there are murders, theft, an illicit human body-part trade, conspiracy, mythology, and ghosts. But what truly makes the novel so haunting and stunning is not the physical landscape, the bodies, nor the string of dazzling plot points — instead, the beauty of “The Night Tiger” lies in the cobwebs that string all these together: legend. Myth, folklore, oral histories and tradition, ritual, fate, the unstoppable current of what is meant to be — all of this comes to coalesce in an undeniably spectacular world of Choo’s creation. There is an unspoken natural order, “An invisible shroud or cocoon, those fine filaments spun out of nothing,” created through eons of tradition — and the most perverse violations of it. There are rules that everyone knows, that govern all existence and death — and punishments doled out for failing to observe them. The sheer intensity of Choo’s world-building is striking. No matter how striking the plot and world of “The Night Tiger,” it is important to consider the implications of playing with mythology in the way that Choo does. In the imagination of the West, the “Orient” is frequently imagined as an exotic place of intrigue and passion. Notice that each of these descriptive words has been previously used to describe the landscape that Choo creates in the novel. Undoubtedly, the striking and folkloric world of “The Night Tiger” comes at the cost of playing into and reifying larger narratives of orientalism that fetishize and exotify Eastern culture and ritual. Each element of Malay and Chinese mythology is exaggerated beyond proportion — each Chinese character is shockingly superstitious, placing a disproportionate amount of faith on lucky and unlucky numbers. The idea of the matched set of five, the importance of couplets of items, the ominousness of the number 49, and the luckiness of six and eight appear so frequently that it edges on ludicrosity. Beyond the hyperbolic superstitiousness of Chinese characters and their obsession with numbers, mythological aspects and the faith of Asian characters in it is a systemic problem of the book. This exaggeration is necessary for the fluidity of the plot and to create the hallucinatory and spectral effect that makes the novel so compelling. It also does, however, risk reinforcing geopolitical and cultural narratives of Asia as superstitious, irrational, and exotic. In a moment of startling self-awareness, “The Night Tiger” comments of its British characters, “This is what they have come East for: adventures like tigers in the garden, Oriental dancing girls, and cobras in their beds.” And what about the readers of “The Night Tiger”? What have they come to the novel for? The same things: stories about tigers in the garden, Oriental dancing girls, and ghosts. Undeniably, however, embedded in Choo’s novel is a criticism of colonialism, albeit not as harsh as deserved. References to the darker, unseen forces that silently govern the everyday existence of Malaysian locals seem to hint at a critique of imperialist ventures and underlying currents of uneven geopolitical power dynamics. Underneath its sparkling, somewhat romantic exterior, there are dark things brewing in this world. But despite the possible implications of playing into mainstream orientalist representations of Eastern culture and tradition, it is irrefutable that Yangsze Choo’s “The Night Tiger” is a stunning combination of romance, mystery and tragedy.